Last Friday marked the 8th anniversary of the Boardwalk hotel and casino closing. Currently, part of city center resides upon it. While the boardwalk casino had only been around for 10 years, at the time of its implosion, the building had been in operation in one incarnation or another since 1965 when it opened as a Holiday Inn. This week’s winner is @PDlegend for a picture that I think helps to showcase why themed resorts take Vegas to the next level. 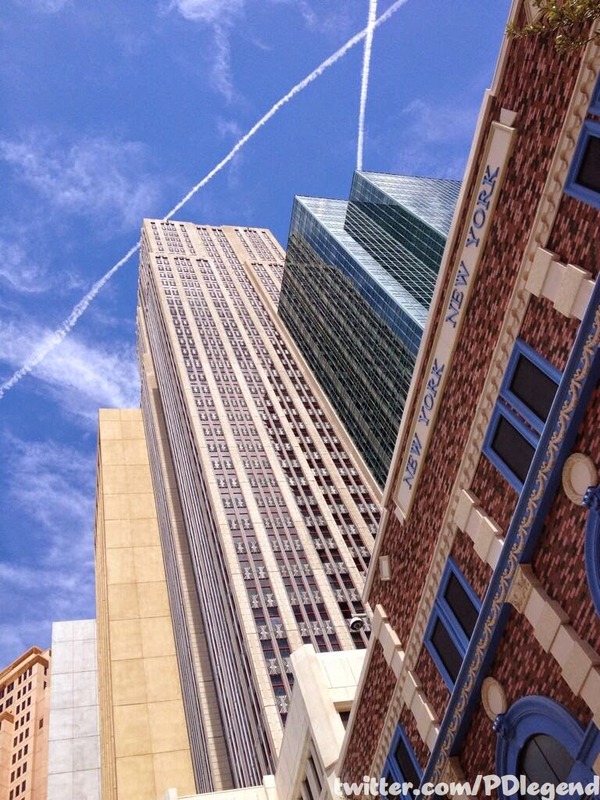 It’s a shot of NYNY, from the ground, looking up at one of the faux skyscrapers framed with a beautiful blue and white sparsely clouded sky. What I like about this is how the themed resort gives you the abbreviated experience of the real thing. It’s like vacationing for those with ADD. Oh, lets go see NYNY. Now I wanna see Paris. Oh look, a castle. 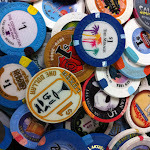 I think the theming of Vegas pulls from the same brilliant idea Walt Disney had with themed lands in the Magic Kingdom. It was that theming that got me to check out the city in the first place and I love it.